UNS – A delegation from Agriculture Faculty of Universitas Sebelas Maret (FP UNS) Surakarta won the Best Presenter Award in the 5th Asian Academic Society International Conference (AASIC). 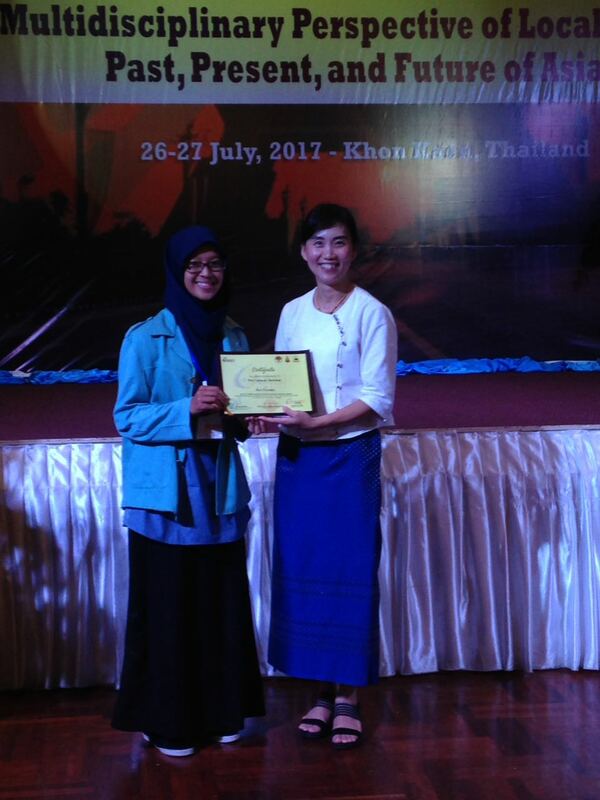 The annual international conference was organized by Association of Indonesian Students in Thailand (Permitha). It was carried out on the theme of “Multidisciplinary Perspective of Local Wisdom: Past, Present, and Future of Asia” in Khon Kaen University, Thailand, on Monday and Tuesday (26-27/7/2017). 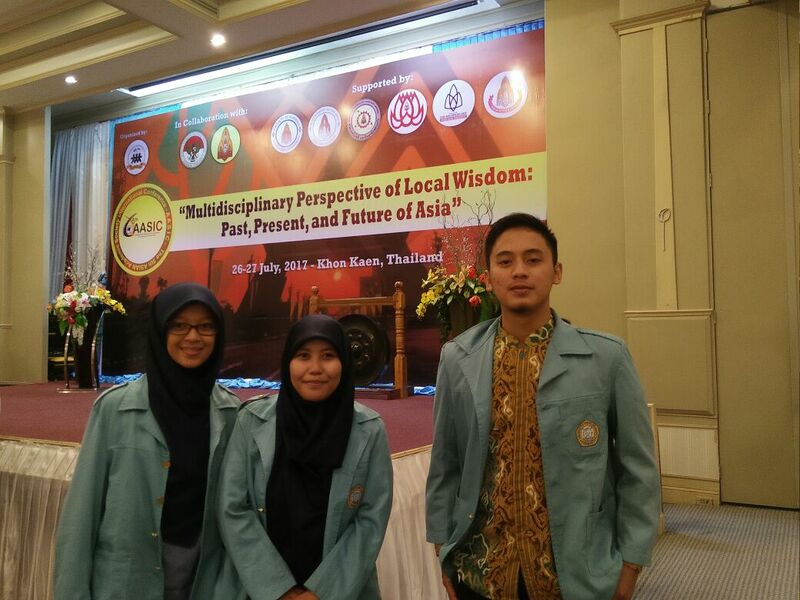 The team consisted of three delegates: Adie Bayu Putra, a 4th year Agrotechnology student; Amirahanin Nafi’ah, a 4th year Food Science and Technology (ITP) student; and Ismira Widihastuti, a 2nd year transfer student of ITP. In front of the Board of Assessors they presented their paper entitled “Mocaf, Cornmeal, and Jackbean Flour as a Functional Food to Reduce Rice Consumption in Indonesia”, which led them to the award, beating out other 99 teams from 20 universities in 5 countries selected out of 209 abstract submitters from around the world. Amirahanin claimed that their work was inspired by the high consumption of rice not balanced out by the adequate production. Therefore, alternatives to companion foods for rice were needed, hence the research on analogue rice made primarily of moca, cornmeal, and jackbean flour. As a functional food, the analogue rice has excellent quality for its low glysemic index and acceptable sensory quality.